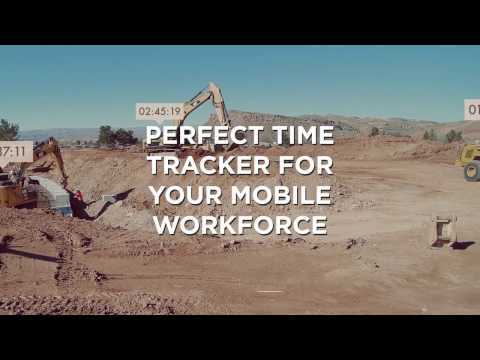 busybusy is a web and native mobile time tracking app for contractors within construction and mobile companies, providing real time tracking of labor costs, GPS equipment tracking, PTO, project budgets, reports, photos and notes. busybody is comprised of two modules; time tracking and equipment. Designed by contractors, for contractors, the busybusy platform aims to help businesses track their time by automating time and GPS labor tracking, job costing, and documentation. With the aim of helping businesses to streamline the information flow between remote employees, managers, and supervisors, whilst also ensuring accurate data input, busybusy provides tools to automate data capture and provides a 360 degree view of the jobsite. To aid with time tracking, busybusy provides a tool for workers to clock in and out of locations using GPS functionality, and they are able to select a project and add a description if necessary. The time tracking tool can also be used to document breaks, track inventory usage, and more. Location and time based reminders can be setup to notify an employee to clock in or out based on their schedule or geolocation, and time can also be tracked in areas with no service using the offline mode. Management users can track their workforce in real time with updates on employee location, labor progress, time spent on each project, and the ability to view all employees in one GPS view. With busybusy time cards can be automatically generated and approved for payroll, and the electronic signature capture tool allows employees to sign their time cards from any mobile device. busybusy's equipment module facilitates the tracking of heavy offsite equipment, and provides visibility into usage time and activity. busybusy can be integrated with VisionLink or used as a standalone tool on any mobile device to track the exact location of an entire fleet of equipment, view which employee is operating it, analyze labor costs associated with each piece of equipment, track fuel levels, view hourly usage, and more. BusyBusy was easy to deploy and is straightforward and easy to use. One thing some of our employees did find confusing was the multiple versions of BusyBusy available on the Google Play Store. All in all, it does a good job tracking time and syncing with our payroll backend (Quickbooks Enterprise). The ability to specify budget hours and dollars helps our managers and executives gain a clearer picture of overall job health from a labor standpoint, strictly in terms of expenditures. Perhaps in the future, the ability to implement deadlines and rudimentary project scheduling along with labor budgeting would provide a clearer picture of overall job health from both a labor and scheduling perspective -- something that every manager sorely needs. Additionally, we love the reminders and geofencing capability (though it has its kinks), and location stamping all clocking activity is a verifiable way for accounting to determine the location of employees when they clock in/out (i.e., they're where they're supposed to be, not at the local dive bar). There are some features that I have suggested to the development team there, and there are some cumbersome aspects regarding the use of the App. 1) Switching tasks frequently is cumbersome. Our management in particular likes to track time on a very granular level, against a large amount of subprojects. Replacing the map on the "Switch Task" screen with an icon-based favorites list (8 items) and recent history (4 items) to allow for 2-tap task switching would save time for everyone and decrease the possibility of an incorrectlyh selected task from the existing drop downs. 2) The reporting functions are very rudimentary. In my experience, they are either too general or too granular. Its hard to determine how many hours were worked against specific subprojects, who worked them, and on what days. However, every company has different reporting needs, and thusly the ability to export all time entires for a specific project (or subproject) as a CSV would prove extremely useful for meeting custom reporting needs (currently I export time card reports and filter via Pivot Table in Excel). 3) Reorganizing ongoing projects would also be handy. We have a scenario where multiple foremen have setup multiple subprojects for the same punchlist items and have instructed their crews to clock against their created subprojects, respectively. This creates some headache when trying to aggregate all the data to determine how many hours were spent against a specific item. Thank you for your detailed review. We are happy you liked how easy it was to deploy. We are glad you like the budgeting tool. It sounds like the cons you mentioned are all feature requests. Have you suggested these features within your account? Simply go to support>>suggest features. Please let us know if you need help with this step and thank you for your time. As an employee that uses this app, I am satisfied with the accurate timekeeping & it's GPS. Accurate time keeping and book keeping for labor costs, per project. GPS tracking that will show the location when each employee has clocked in and clocked out, whether for normal work, as well as lunch breaks.I love this app because of the clock-in accuracy and the ability to easily move from project site to project site. It is very easy to use, I literally taught myself how to use this app and discovered other features that I felt were benefiting for myself as well as for my employer. I love that it can keep records of costs for each project, which makes book keeping much easier when it comes to labor costs. I also like that I can review my hours for the week prior before I sign and submit to our payroll department. This way I can bring up any discrepancies that I may have. It's also easy to add new employee's and archive the ones that have either left or been terminated. It's easy to fix any discrepancy, if any, that regards hours or project location. I love this app because of the clock-in accuracy and the ability to easily move from project site to project site. It is very easy to use, I literally taught myself how to use this app and discovered other features that I felt were benefiting for myself as well as for my employer. I love that it can keep records of costs for each project, which makes book keeping much easier when it comes to labor costs. I also like that I can review my hours for the week prior before I sign and submit to our payroll department. This way I can bring up any discrepancies that I may have. It's also easy to add new employee's and archive the ones that have either left or been terminated. It's easy to fix any discrepancy, if any, that regards hours or project location. The only thing that I least like about this software is that on rare occasions I've had my GPS notification pop us stating that I have stepped away from the office, and if I would like to clock out, even though I haven't left the office. Other than that this program has been awesome. Thank you for your review. We are happy you love the software and how accurate the timekeeping is. You can simply ignore those notification you get when it asks you to clock out of the location. It's just a reminder to help keep track of accurate time. I would review the geolocation for the office and expand it a bit more to prevent this from happening. We were able to track our jobs and the hours our employees worked per job more accurately. It's also helped our employees be a little more responsible for their own time cards.It was very easy for our employees to learn how to use the app on their phones. When they forget to clock in or out, it is possible for me to go in and edit their hours. I also like the reports that are available. It makes it easy when it comes to payday to see a report of each employee and double-check the hours they worked. It was very easy for our employees to learn how to use the app on their phones. When they forget to clock in or out, it is possible for me to go in and edit their hours. I also like the reports that are available. It makes it easy when it comes to payday to see a report of each employee and double-check the hours they worked. Some of the tasks take a few too many clicks to get through or are a little confusing. For example, finding an employees time card from a previous day takes 4 or 5 different menus. I've gotten used to it after using it for so long, but I remember it was confusing at first. I also struggle with the little clock that pops up to choose an employees clock-in or clock-out time. I'd rather just type in the time than move the hour/minute hands on a clock. I also wish there was a way to get notified when an employees scheduled time off is coming up. We let our employees schedule time off as far out as possible, but when the time comes, we've forgotten about it. We actually don't use this feature of the Busybusy software, but would if it was more helpful to us. Great review and fair critiques. We are actively working on improving the navigation on our web and mobile experience, as well as a notification piece. Thanks for the great ratings! Easy to use, great for several type of employees, I like how they can sign their time card on their phones, as most employees are not always at work on Sundays when the pay period ends. Easy to set up new employees, and keep an eye on who is clocked in. We got everyone trained on how to use this very quickly. It would be great if the Desk Top option had the weekly view alike the phone version does. It would help if at the end of the work week an employee could sign their time card and not have to wait until the end of the pay period. With seasonal part-time employees they may only work once and then have to wait 10 days to sign their time card, this wastes a lot of our supervisors time chasing down people to sign their time cards. I wish there was a setting where I could say print all time cards and not have to log into each one and print them all at the end of the pay period. I wish there was a way to use the "non gps" version. We don't want to track our employees by GPS, and some feel it is a privacy thing but the notice keeps popping up for them on their phones. Maybe there is something I don't know on this. Thanks for the review, LM! Our reporting functionality on the desktop version allows for custom date ranges. Additionally, you can print all of the timecards from the time card report. We appreciate your feedback and suggestions and we will be reaching out to help resolve your concerns. Coming from the time clock era, my overall experience with BusyBusy has been excellent. We had a need for additional time keeping in our company and we found BusyBusy on Google Play. It was one of the best business decisions we have ever made. Its easy to use, has multiple features and reports that are necessary to track my employees. I love BusyBusy.What I like most about BusyBusy is the access. You can log in at anytime so, their are less chances of an forgetting to log in time. Busybusy has great management features that make recording keeping a breeze. BusyBusy knows what the customer needs and will upgrade and adjust when necessary. BusyBusy support gets back to you pronto so you are never kept hanging. All questions are answered and all problems are resolved....that I like. What I like most about BusyBusy is the access. You can log in at anytime so, their are less chances of an forgetting to log in time. Busybusy has great management features that make recording keeping a breeze. BusyBusy knows what the customer needs and will upgrade and adjust when necessary. BusyBusy support gets back to you pronto so you are never kept hanging. All questions are answered and all problems are resolved....that I like. What I like least is that if you are not a supervisor and you need to add another employee you are unable to do so. What I have to look forward to is that BusyBusy will resolve this issue in the very near future. Thank you for your great review. We are glad its super easy for you to manage your team's times. The free busybusy account is free forever with a limit of 100 users. The Pro plan has a limit of 200 users and costs 9.99/user/month when billed annually, or $11.99/user/month when billed monthly. Custom plans are also available for enterprises with over 200 users. Contact busybusy for a custom pricing plan. Track employee hours, breaks, vacations, days off, and more with the busybusy time tracking features. Employees can clock in and out of projects or locations with just the click of a button. Snap photos at job sites and upload them to the busybusy platform to document project progress or evidence expense receipts. Photos, notes, and documents can be added to a project, shared, and accessed from any device. Monitor employee activity with GPS location tracking which pinpoints every employee on a map with a location stamp when they are clocked in to locations. Management can see in real time who is working on a project, on a break, or clocked out. View live GPS locations of heavy equipment to ensure their whereabouts is known at all times. busybusy can integrate with VisionLink to track locations, remaining fuel levels, total usage, employees using the equipment, and more. Generate visual reports on job site activity, project progress, budgets, labor hours, employee productivity, payroll hours, and more. Data is updated in real time and reports can be accessed from any device. Below are some frequently asked questions for busybusy. Q. What type of pricing plans does busybusy offer? Q. Who are the typical users of busybusy? Q. What languages does busybusy support? Q. Does busybusy support mobile devices? Q. Does busybusy offer an API? No, busybusy does not have an API available. Q. What other apps does busybusy integrate with? Q. What level of support does busybusy offer?